August | 2013 | Save the Kales! Save the Kales! 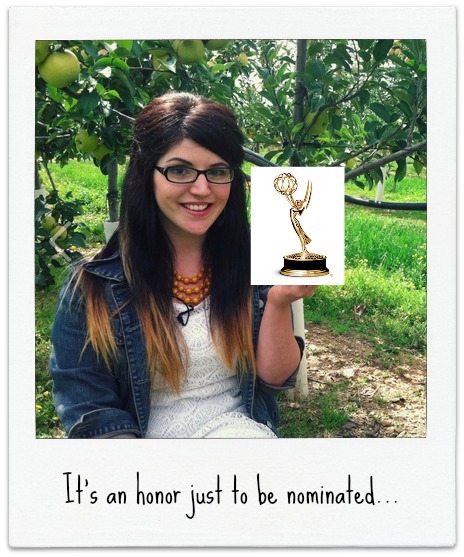 is Nominated for an EMMY! Yeah, like… an EMMY Emmy. I had no idea that the wonderful Matt submitted our show the Mid-Atlantic Emmys, then snuck off to Philly last night for a ceremony where nominees were announced. Around 9pm I was minding my own business at home with the dog when I got a text telling me I need to look for a fancy dress, because I had just been nominated in the TV Host category. Thanks to Dustin at LehighValleyLive.com for this article about STK! and other nominees!